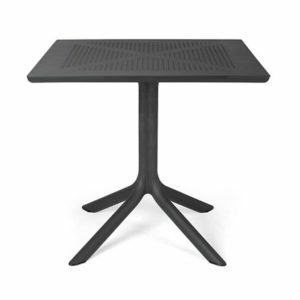 The beautiful central pedestal Clip Table in the 800mm X 800mm size. The Clip 80 distinguishes itself from the crowd with its unique but refined perforated pattern that promotes water runoff. 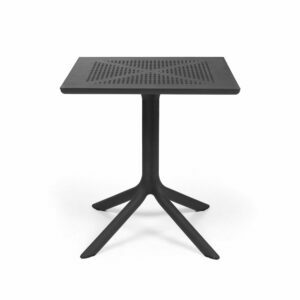 A truly multipurpose table, our NZ sales are split between indoor and outdoor environments. 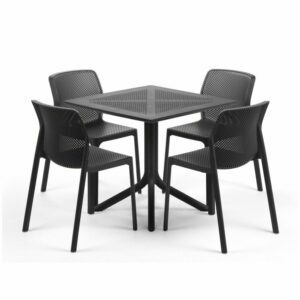 Designed & constructed in Italy with high-quality polypropylene & fiberglass resin that’s UV & weather resistant. 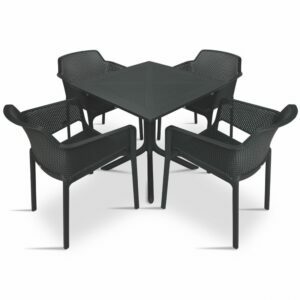 Enjoy relishing in the outdoors with the unique Clip Bora Armchair 5 Piece Patio Set. 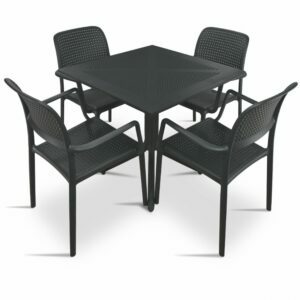 Comprised of high-grade UV resistant polypropylene & fiberglass resin, this compact dining set is comfortable, stylish & functional. Water runoff is encouraged by its distinctively beautiful hole-punch perforation pattern. 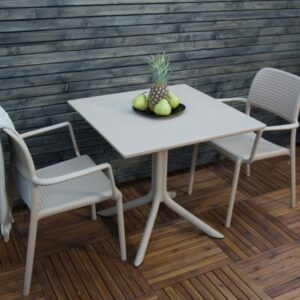 Proudly made & designed in Italy by NARDI.